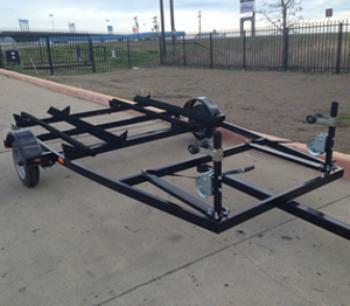 C&M Trailers is recalling 670 model year 2016 boat trailers, jet ski trailers and 5x10 utility trailers manufactured June 1, 2016, to December 1, 2016. The trailers may be missing front reflex reflectors, thus fail to comply with the requirements of Federal Motor Vehicle Safety Standard (FMVSS) number 108, "Lamps, Reflective Devices, and Associated Equipment." Missing reflex reflectors may make the trailer more difficult to be seen by other drivers, increasing the risk of a crash. C&M will notify owners and will send them the missing reflex reflectors to install, free of charge. The recall is expected to begin in January 2017. Owners may contact C&M customer service at 1-972-875-4528.